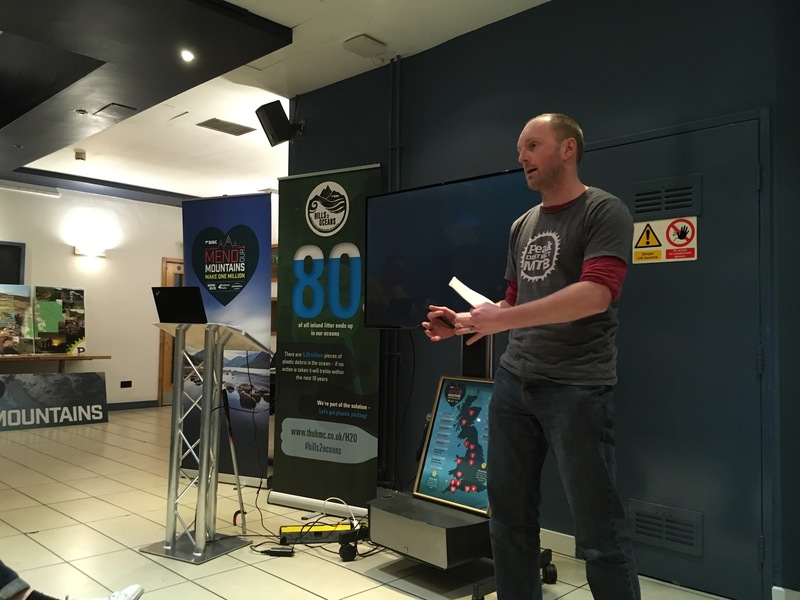 This weekend was a belter for spreading the positive word about mountain biking advocacy. A lot of hard work goes in to driving some of our projects forward, but weekends like the one we’ve just had make it all worthwhile. First up Chris and Dan hit the Sheffield Adventure Film Festival on Saturday. The BMC were giving an update on their Mend Our Mountains “Make One Million” campaign. Carey Davies from the BMC ran through the various national fundraising projects. It was a huge delight that the Cut Gate campaign has so far raised £68,000, with potentially more to come in. So amazingly close to the target, so keep donating. Mountain bikers drove the Cut Gate campaign, and our very own Keeper of the Peak Chris Maloney was right at the heart of it all. It was a truly collaborative effort, with us lot, horse riders, walkers, fell runners, climbers all getting behind the campaign. A great, great success for mountain bike advocacy. 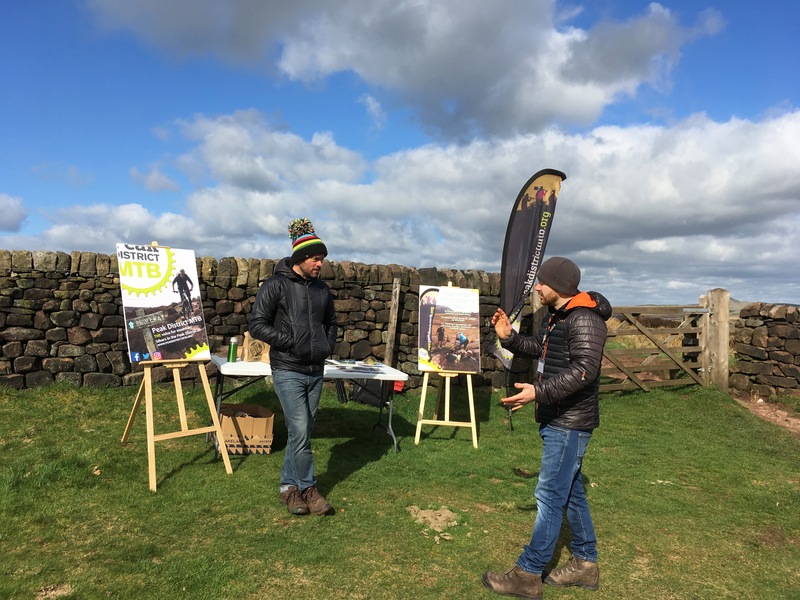 On Sunday Dan was joined by Jon Rowe from Staffordshire Wildlife Trust at the Roaches, to promote the 12-month trial of a brand new permissive cycleway. Great weather brought loads of walkers and mountain bikers out – young and old – all of whom stopped to learn about the advocacy work of Peak District MTB. 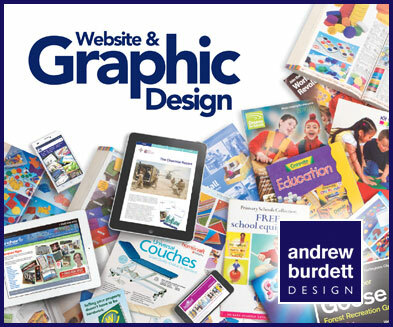 Feedback from everyone we spoke to was really positive. 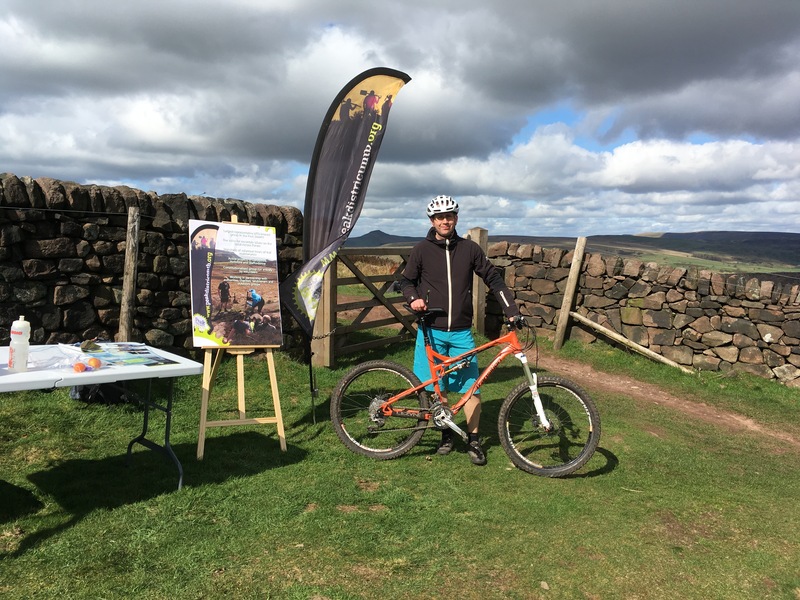 Many wanted to learn more about the mountain bike routes now available on the Roaches and how to get involved with our trail maintenance. There’s loads of useful info on our Roaches mountain biking leaflet (Mountain Biking at the Roaches). Thanks to Jaime Harper from True North Adventures who came along to help out, and to Nick Blaney for testing the route and being a mountain bike model for the cameras. A big thanks to Jon Rowe from Staffordshire Wildlife Trust and videographer Dan Blaney who both gave up their Sunday to help make this event a success. Peak District MTB are just a bunch of volunteers with full time jobs. It can be hard work finding the time to drive our aims and objectives forward, but weekends like this one make it all worthwhile. Thanks to all our supporters, all our volunteers, all our fundraisers and of course our committee for all the hard work they do to make mountain biking better.